Quantum Research Council has completely revolutionized personal healing products with its proprietary line of Full Spectrum Far Infrared Technology. The difference is Infrared heat. EarthWrappes feature full spectrum, deep penetrating infrared heat, with natural rose granite discs to generate negative ions and grounding therapy. Without exposure to harmful EMF’s, soft and flexible, comfortable to lie on or wrap around your body, this is not like any heating pad you’ve ever used!! Relieve Pain, Increase Circulation, Immune Enhancement, Relax Muscle Spasms and Cramps, Sleep Better and “Heal with Heat”!! Conventional pads use heating coils and emit high levels of electromagnetic radiation, or EMF. Such products only heat your skin. Our unique Infrared Pads, with enhanced therapeutic benefits effectively relieves pain, increases circulation and naturally removes harmful toxins. Infrared technology is the wave of the future in the health and wellness industry. Listed with the FDA as a class II medical device with CMS and DME listing numbers. The quantum physics model of health goes far beyond the biochemical model and its inherent restrictions. Studies on the positive effects of Far Infrared Heat have been published across the globe including the Journal of American Medical Association and the New England Journal of Medicine. Health­care professionals throughout the world claim that far infrared frequency is the most beneficial and safest form of sun ener­gy. Far Infra Rays (FIR) are absorbed by the human body through a process called “resonance absorption”. When the FIR comes in contact with bodies of a similar wave-length, such as the human body and other living things, there is resonance. The resonance of the cells of the body and the FIR rays are “vibrating” at the same frequency. FIR Energy is easily absorbed into the cells. Far Infra Rays will induce quantum cellular resonance in the client, thus providing a veritable shift to sustain ideal health. 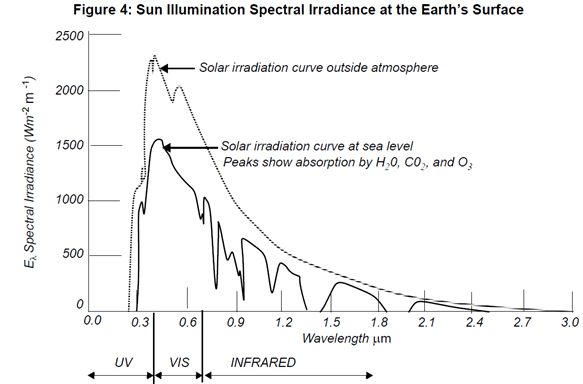 Full Spectrum is a term defined as light that covers the eletromagnetic spectrum from infrared to near-ultraviolet, or all wavelengths that are useful to plant or animal life; in particular, sunlight is considered full spectrum, even though the solar spectral distribution reaching Earth changes with time of day, latitude, and atmospheric conditions. Below is a graph of our Far Infrared products Full Spectrum wave lengths generated and additional graph that breakouts the Near Frequency portion. Ocean tumbled granite is a unique stone combining the elements of the sea with the deep rooted foundations of the earth! According to Ayruvedic principles, this stone is a great balancer of water and earth (emotions and practicality). Earth helps water to keep its deep emotions in check. This incredible stone works on both the Base/Root and Sacral/Spleen Chakra as it grounds unstable or unsure emotions. Therefore, granite is wonderful for allowing for increased protection and abundance. Far Infrared rays use very little energy – 60% less than customary heating sources of the body. The energy stays active as much as 1.5 times longer than the treatment. Thusly, creating an extended heat therapeutic effect (ETE). Please consult with your PRL Practitioner for the best and most effective use.